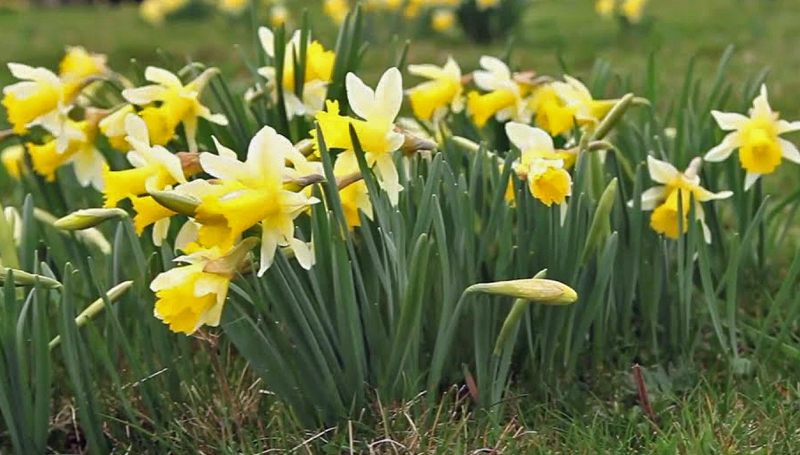 Daffodils, often in large plantings, are now brightening many parks and gardens. The more vigorous types, such as the trumpets or large-cupped, are the most often seen. Yellow is the predominant colour though some others, such as the large-cupped, cream coloured ‘Ice Follies’ (Division 2) also do well planted in quantity in public places. The smaller cupped Division 3 group are also popular –compare ‘Barrett Browning’ (Div 3) with ‘Professor Einstein’ (Div 2). 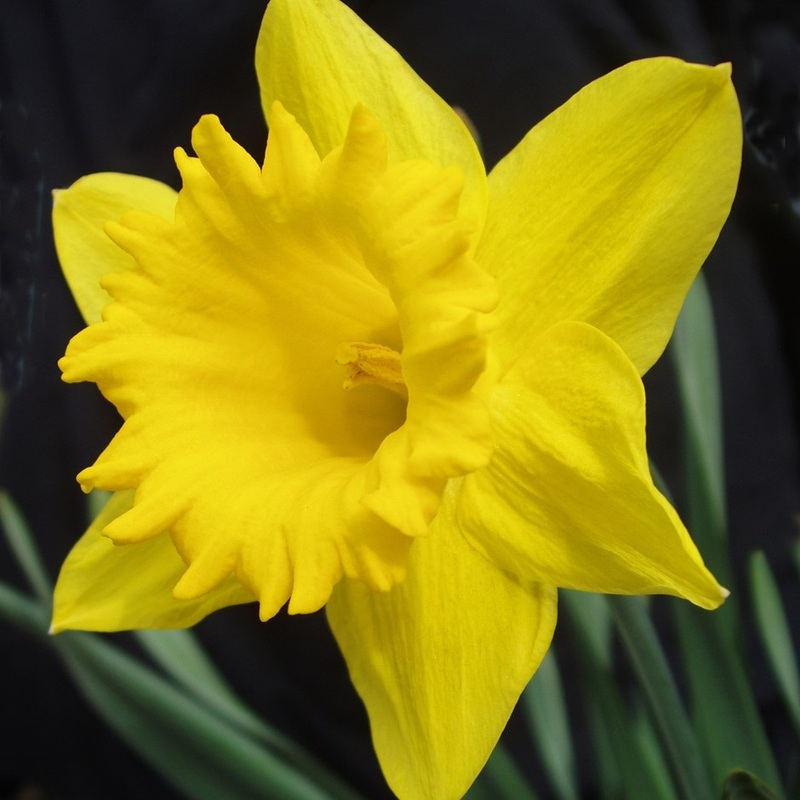 Daffodil enthusiasts use 13 divisions; 12 for the different cultivated forms and one for wild species and natural hybrids as wild daffodils are rather promiscuous! 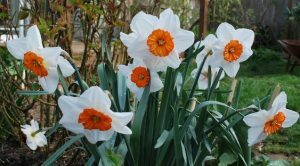 Two forms of wild daffodil grow in Britain, the two-toned mainly in England where it was the subject of Wordsworth’s famous poem and the all-yellow Tenby daffodil in Wales. 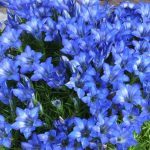 They are available from bulb merchants, but they can be slow to establish in gardens. Both are forms of Narcissus pseudonarcissus which is also the parent of the large trumpet types such as ‘King Alfred’, ‘Dutch Master’ etc (Division 1). Not all of these 13 types flower at the same time. Besides these large forms the hybrids from N. cyclamineus (Division 6) are quite early. They often show the swept back look of the wild parent. 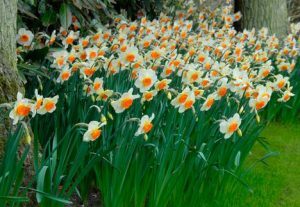 The popular ‘Jetfire’ is in this group but the most popular dwarf daffodil of all, ‘Tete-a-Tete’ is in Division 12 (miscellaneous) as it looks so different compared to its cyclamineus ancestor. 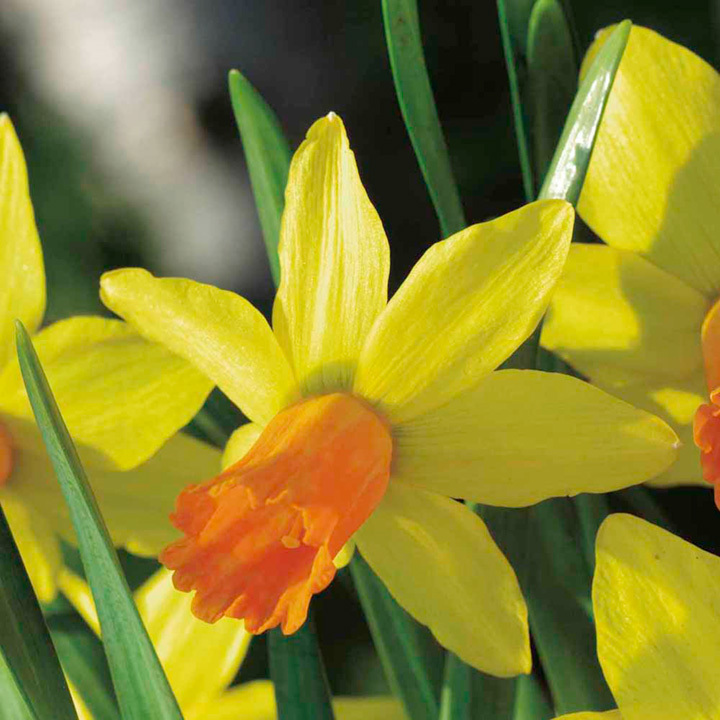 Further information about the different divisions of daffodils can be found in the Spring Bulb Show schedule which is on the Spring Show page of the website. 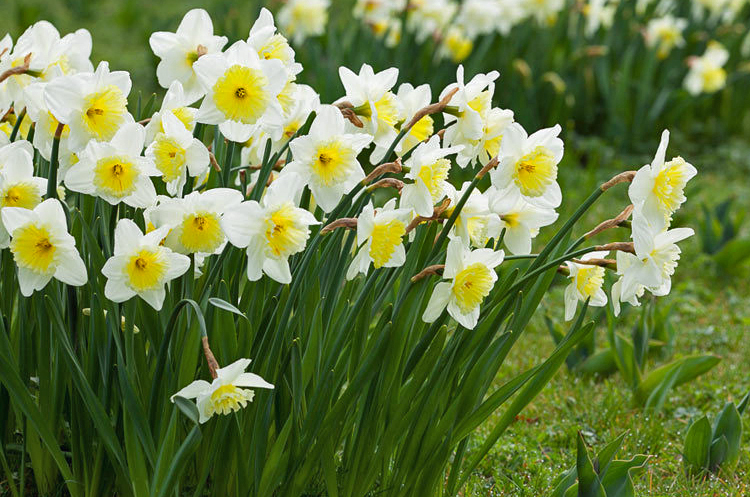 Or why not come along to the Spring Bulb Show, 30th and 31st March – 12-5pm at Saughton Park in Edinburgh where you can see all of the different types of daffodils (and other spring flowering bulbs) for yourself. You may even be encouraged to enter the show next year. 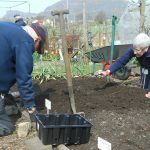 Be warned though – growing daffodils is addictive!! You can never stop at just one.